A while ago, I was at a Motel Rocks event, and the lovely girls from GlossyBox were there as well. It was a great event, with delicious food, pretty clothes and GlossyBox even had yummy cupcakes for us. There was also the option for putting your name down to receive November's version of GlossyBox, which I was very excited about. For those of you who don't know about GlossyBox, I'll give a quick synopsis: You basically register online and pay £10 a month to receive a box of 5 'luxury' samples to your door, from a wide variety of brands. 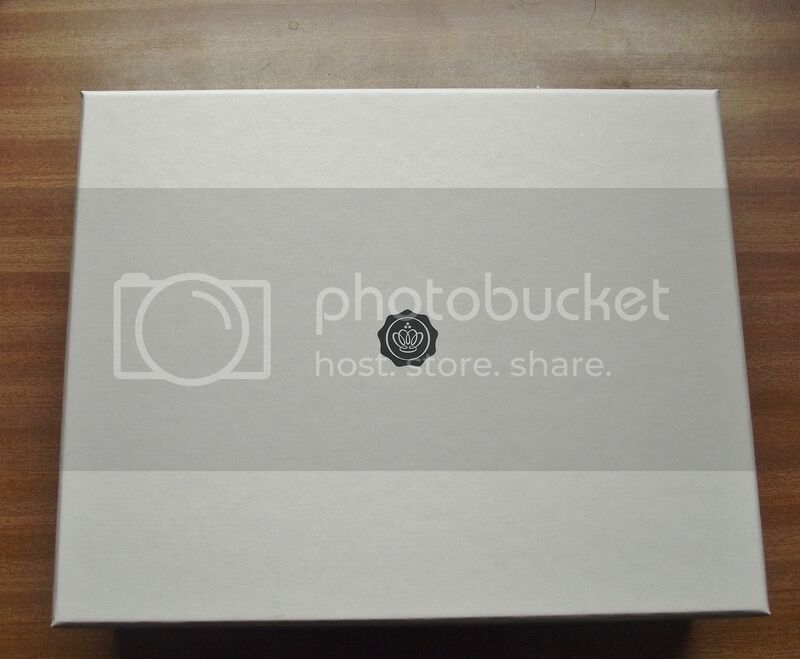 I'd heard a lot of mixed reviews about whether or not it's worth it, but the majority of what I'd read had been positive, so I was interested to get my box, for free, and see for myself. My box came in the post yesterday, and if I'm entirely honest, I was a bit disappointed. The products came beautifully packaged, with a card on what all the products/prices were, but I kind of wish I'd stopped opening the box there. When I saw all the products, my heart did sink a bit. Apart from Illamasqua, I hadn't heard of any of the brands, and the samples were A LOT smaller than I thought they'd be. First up, we have nail wraps and a 'sample' of Illamasqua Freak Perfume. Nail wraps? Seriously? I would have been happier with nail polish. They're basically stickers that you stick on your nails, then file down to your nails shape. I've tried them, not from this brand, but from a well known manicure company (so you know they weren't rubbish quality), and they're kinda awful. Not only do they not last more than a day, but they're also really bad for your nails. Let's face it: you could buy them if you really wanted to try them out as, at £6, they don't really break the bank. I also wouldn't class them as a luxury product, maybe more high-street. Also, unless you're a Newcastle United supporter, that print is not for you. Next up was the Illamasqua Freak perfume. 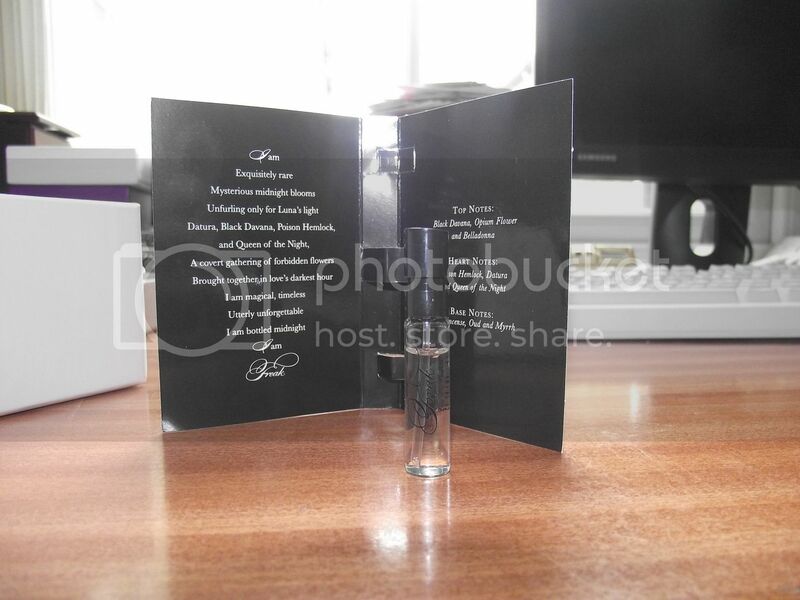 I cried when I realised that this was part of the 5 samples. Sure, it smells great, but this is NOT a sample. I would say there were 4 products as this doesn't count because it's about the same size of my little finger and even then, it wasn't filled up to the top. When they said samples, I really did expect something a bit bigger. Even if it was as big as my index finger, I would have been happier. Also, with the full size retailing for £59, I wouldn't go near that perfume anyway. I've found Illamasqua to be slightly over rated and over priced. Sure, I'll pay that much for Chanel or Dior, but not Illamaqua. It's just not feasible. There were also a few creams from Arbonne FC5 and Monu. 'Yawn' is all I can say. There are so many amazing creams out there, that I really did expect the Box to have something a bit more different and revolutionary. The Monu, I admit, is a good full sized bottle, but with so many creams on the market, neither of these two products stand out to me. They're hydrating and moisturising, but at £19 (Arbonne) and £16 (Monu), there a millions more options for you at half the price. Just go to Boots or Superdrug and take your pick. 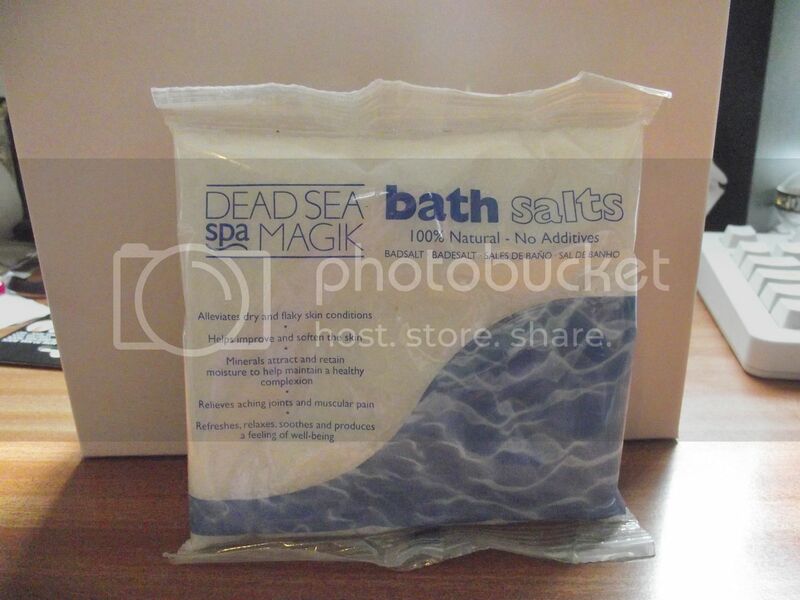 Finally, bath salt from Dead Sea Bath Magik. Ok, so this is huge, but again, at £5 per kg, you'll hardly be breaking the bank just buying it yourself (this is just 250 grams). And again, not exactly a luxury product. I'm also not too sure why I'd need this in my life, especially if it's salt in the form that I can't eat. It's meant to soften skin and help with aches and pains, so maybe a product worth having. But it also mentions that you should soak in it for about 20 minutes...and I actually have things to do with my day, so probably won't use this. It's a good system that you can try expensive products without having to purchase them, and I can see why people subscribe, but if I'd actually paid the £10, and got this, I would have been livid. I know some of the past boxes have been great, so maybe this was a one off. The products seem fine, and if they were freebies with a magazine or something, they'd be alright. But they're not: you're actually paying for them. I would have expected better samples, of more well known products, and maybe at decent sizes. I would like to point out to you all that I'm not bitching or acting spoilt. The box simply did not live up to my expectations and none of the products were things I would actually use, or consider sampling. As bloggers, we do get a lot and I am utterly grateful for it all, it's just that sometimes, you get something you not up to par, and you have to be honest about it. At least it's good to know that I'm not one of those bloggers that will only write good things about free stuff. I should mention that, as of yet, I haven't tried any of the products, and who know's: I might have completely embarrassed myself with this post as they may turn out to all be miraculously amazing products. But this isn't a review of the products themselves. What are your thoughts? Have you or would you try GlossyBox, or any of it's equivalents? Definitely let me know if you think I'm over exaggerating or getting to big for my boots, and need to be bought back down to reality. P.S. If anyone wants any of these products, shoot me an email with your address and I'll mail it out to you, anywhere in the world. I'll do this on e a first come, first serve basis for each product. Ahh, sorry you were disappointed with Glossybox, I must admit I have unsubscribed a couple of months ago myself, but that was more down to the price going up to 12.95 inc delivery. Although the box before I unsubscribed also included nail wraps! Coincidence? I have noticed an ugly trait for Glossybox to send slightly better boxes to the high profile beauty bloggers than to everyone else, too, although again this could be just coincidence. Anyway, I have subbed to Feel Unique instead and I'd definitely recommend that, it's cheaper and so much better! I am proud to see a blogger do an honest review. All bloggers should be independent and frank but unfortunately this is not the case. Hmmm I think the products look great! I agree 100%. To be honest, I wouldn't have been happy if i'd have paid for it. x hivenn p.s enter my $200 shopbop giveaway? This one looks not so good, but I got the Sep and Oct ones and they were fab. Oct had lots of Dermalogica stuff and a Stila eyeliner.